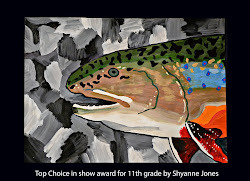 This is the 10th Year for the Newaygo Troutfest! This community held event promotes outdoor activities and community involvement. Each year a non-profit organization is chosen to benefit from this event's raffle ticket proceeds. Each $5 donation will get you a raffle ticket for a chance to win one of 6 amazing prize packages. 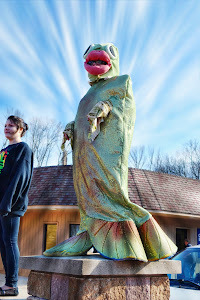 The Newaygo Troutfest continues to grow each year thanks to the many local businesses and volunteers who work and donate so generously to make the Newaygo Troutfest the great success that it is. Sportsman's Bar & Restaurant will be hosting the 10th annual Newaygo Troutfest. This one day event will be on Saturday, April 25th, 2015. 6 Lucky winners will each receive a huge package prize full of gift certificates, merchandise, lodging & more all donated by local merchants. This year's chosen non-profit organizations are LOVE I.N.C. and the Newaygo Museum. Raffle tickets can be found at LOVE, Sportsman's and many more local merchants around the downtown Newaygo area. A huge thanks to all the merchants who donated merchandise for the prize packages and the main sponsors who make it possible for advertising; Newaygo Printing, Country view Auctions, Sherri Russell Photography and B&B Contractors. If your idea of going out is grabbing a cup of coffee or two with your friends, or hitting the bars for an all-night escapade, then you seriously have to reconsider the healthiness of your outdoor activities. The outside world is great – it gives you fresh air, beautiful views, and lots of opportunities for physical activity. Taking your child on an outing, such as fishing, not only creates a bond between child and parent, but it also benefits the health and well being of children. In today’s society, with more video and technology related games and computers, children are spending more and more time indoors on the couch in front of the TV or staring at a handheld video game system. This only leads to unhealthy habits, overweight problems, loss of exercise and appreciation for the vast environmental encounters they would experience out of the house. This year, it is made possible by local downtown business women and associates. Special thanks to Sherri Russell, for creating and maintaining this website! If you have any questions or comments about this site, please contact Sherri at SherriAnnRussell@gmail.com.